Several recent studies show that one of the top contributing factors to climate change could be your commute to work. 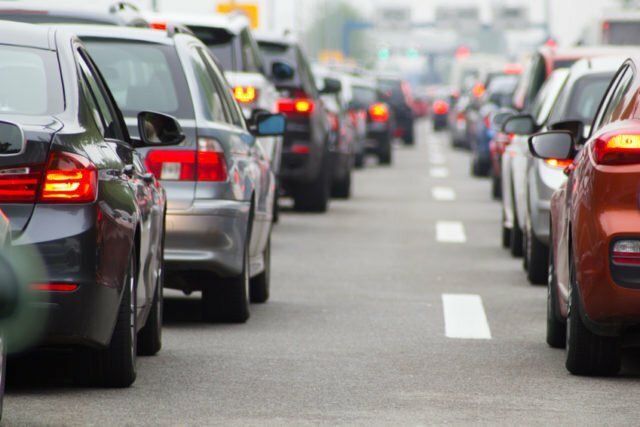 With the number of cars and other inefficient vehicles that are used as part of the average commute, travel to and from work makes up a large percentage of vehicle emissions. Those vehicle emissions have a number of negative effects on the environment. It has been well understood for several years that cars heavily contribute to the dangers of climate change, but the full impact can be difficult to recognize until the sheer volume of cars contributing to the problem is revealed. Motor vehicles emit 20 pounds of carbon dioxide per gallon of gas burned, for a national average of 5.5 tons per year, per motorist. All of this pollution can slowly add up, and now, more than 50 percent of urban pollution can be attributed to motor vehicles. This sort of air pollution is not without consequence. Increased emissions lead to overall ozone depletion, poor air and water quality, and decreased biodiversity. With the number of motor vehicles on the road continuing to increase, it is likely this trend towards environmental damage will continue. Not only does relying on cars for commuting damage the environment, but it can also cause problems for the commuters themselves as well. Data company Inrix reports that the typical American commuter wastes 42 hours in traffic per year at a cost of $1,400 in gas. This average cost will increase or decrease depending on fuel efficiency, however, the implication remains the same: as the number of cars on the road increases, the amount of traffic will also grow, leading to greater costs to commuters everywhere. Addressing The Problem: What Next? If the problem of commuting is going to be addressed, there are a few potential changes that will need to be made. People could live closer to their actual workplaces by making use of corporate housing. Already, around 40% of people who use corporate housing do so because they’re relocating. Additionally, more people can become more mindful about how they commute to work. Not only does commuting through natural areas instead of crowded highways improve environmental impact, but it also has distinct benefits for mental health. Additionally, public transportation can help in reducing emissions by reducing the number of vehicles on the road overall. In addition, motorcoaches are also up to three times more efficient in reducing emissions compared to commuter rails. Unless one or more of these changes are made by a vast number of people, it is likely that the threat commuting poses to the environment will continue to worsen in the coming years. Commuting, while a common practice, will need several major shifts among the general public to become viable in the long-run.